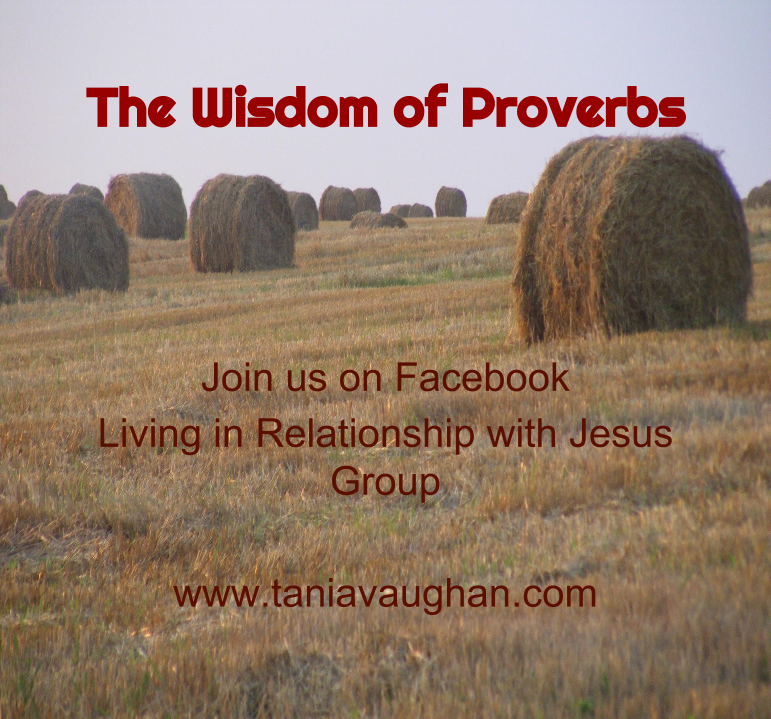 Throughout the month of October you can join in on the Facebook group 'Living in Relationship with Jesus' as we look at some of the wisdom from Proverbs with a daily challenge to apply it to your life. Proverbs is a book full of rich instruction and insight into Christian living and yet there is so much of it, it can be a little overwhelming. I want to take one verse from each chapter everyday, throughout October and give you a thought, question or challenge to help you better understand and apply the wisdom it teaches to your life. Why? Wisdom is the correct use of knowledge. As we grow in Christ we are studying God's word and gaining knowledge but are we using it correctly? Solomon starts Proverbs by explaining it's purpose. To get instruction and discipline on how to live. To receive insight and understanding of God's Word. To learn how to do what is right, just and fair, to have good judgement. The first step is the worship and reverent fear of God and acknowledging who he is. Christianity is a relationship with God and to follow, trust and be obedient we must know him. As we grow in relationship we become better at discerning God's voice above all others and yet there are still times when we need to test what we hear against scripture. Proverbs gives us that insight and understanding with which to test what we feel is from God. It is biblical to both test what we hear, 1 Thessalonians 5:21 and to seek wisdom James 1:5. It is God's desire for us to know him which is why he gives us so much instruction and guidance. I pray that over this month God will open your eyes to his word and pour knowledge and wisdom upon you.